This is my first smart phone and I've had it for two years. I have the Ascend H881C version and it has worked fine with one exception. Although it allows for 32 GB micro SD card, all the apps run on the internal storage (even if the SD card is chosen as primary), so I'm always running out of memory for app updates and have to uninstall and then reinstall apps to get the latest versions. Other than the lack of internal storage for apps, it's been a great phone and I would recommend it for beginners and those that just want basic functions. This is actually one of the best (cheap) smartphones I have had. It runs fine (my old one took forever to do anything) and actually has a fairly recent version of the Android OS on it. My only complaint is the low amount of built in storage space, since not all apps can be installed on an SD card. I only paid $30 for it, so am still happy with the purchase. Some people complained that battery life was horrible. There was a period of time when this was true. It was temporary problem caused by Google Play Services. I had installed an update and suddenly my battery wouldn't last more than a couple of hours. I had to uninstall Google Play Services, which is needed by a number of other apps, but not apps that I was really using, although Google Maps was among them. Eventually I accepted an update to Google Play Services and they had resolved the problem. I can go about a day on a single battery charge, but I don't typically use my phone a lot. Zahin, 21 May 2014They are going to release a smartphone in 2014 which runs on android 4.0. Freaking 4.0!!!!!!!!!!!! !I've had my phone since Sept 2013 so it's wrong where they say it was announced and released in 2014.
ablemicky, 11 Apr 2015i wish i had read this earlier..it would have saved me a lot of trouble....i hope all the comm... moreThis is my first smartphone and so maybe I don't realize how crappy a phone it is, but still it is not so bad as people are making it out to be. I've been using mine for a year and a half now and it does what I need it to do. It runs the apps I've wanted to run. I've mostly been happy with the quality of my phone service. If you see it as just a paper weight then you probably have a defective phone or have unreasonable expectations. The biggest downside of the phone is that it can be slower than molasses at times. I haven't really compared it against other phones, but it can sometimes take 20 seconds to get out of an app and start up the phone app and get to the point where I can make a phone call. That seems excessive, but I don't make make many calls so that it is not really an issue for me. Receiving calls has never been a problem. I find the sound quality is good and the speaker phone works well. Sometimes the text messaging app won't stay open. Apparently it's not good at managing memory and I sometimes have to run a memory booster app such as Clean Master to get it to run reliably. Usually I don't have to, but when I have problems with the messaging app closing spontaneously I know it's time to run the memory booster. The browser that comes with it is not very reliable. It would frequently close spontaneously and I'd have to restart it and try to get back to the desired web page. That can be very frustrating. I found that there are other browsers that are much more reliable. I prefer UC Browser or CM Browser. Google Chrome works well, but uses a tremendous amount of memory. For some reason although it comes with 2.7 GB of storage built-in they only make 630 MB of that available for apps. I assume this is just to frustrate people to force them to move to higher end phones so they can install all the apps they want. I was running out of app storage even with moving all the apps that I could to a 32 GB SD card using the built-in function for doing that. Eventually I rooted my phone and installed Link2SD which allowed me to move a lot more app related data to the SD card and thus allows me to install many more apps. The touch screen works well and I've been satisfied with the quality of the graphics. I've never had problems watching streaming videos. Youtube works well both via the app and on a browser. I've used Netflix and streamed other video using browsers with no problems. I sometimes stream music using Pandora or Spotify. I've never tried video games more demanding than Angry Birds, so I can't say how it performs in that respect. The camera is adequate and I wish it had a flash. One thing that is good about the camera is that it takes good pics of documents with normal lighting. The auto focus worked well on closeup objects. This is probably not a big plus for many people, but I recently had need of taking many such pics and was pleased with the results compared to other cameras I tried. One thing I like about the phone is that it has an easily replaceable battery. I recommend buying extra batteries and an external battery charger. I like to carry one or two fully charged batteries with me so I can swap one in if the battery dies. I think it's easier to carry extra batteries than other external battery devices. The batteries are light and thin and will fit in any pocket. You can buy batteries for about $5 each on Amazon or Ebay. knew the week I bought this phone that it was the worst phone ever made. I have to take a valium every time i use i get so frustrated. Im tired of going from forum to forum try to fix the un fixable. im using it to make phone calls until i can get get another samsung. dont by this folks! its junk. Anonymous, 20 Oct 2014Worst phone ever. This phone has caused me so many issues that I cannot wait to move on to a d... moreI've had this phone for a while, and it does none of that. my battery lasts for about 6 hours of screen time, if I'm using it constantly. Yours is faulty. Worst phone ever. This phone has caused me so many issues that I cannot wait to move on to a different phone. I have tried to call people and the phone calls others; most of the time numbers that I don't even have saved in my phone! Its starting to text random text messages to people and even worse than that, the battery is dying constantly even though it is right after I've taken it off the charger. Literally the worst phone ever created. I am frightened by this phone and how it works because I don't know if or when it is going to call someone that could possibly hurt me. I am furious that they are still allowing this phone on the market actually and highly suggest people steer clear of this phone, no matter what. DO NOT BUY THIS PHONE- END OF STORY! Zahin, 21 May 2014They are going to release a smartphone in 2014 which runs on android 4.0. Freaking 4.0!!!!!!!!!!!! !This phone is the biggest waste of money ever this thing i got a m this thing is got a mind of its own iPad Mini smart phones this is total junk I bought this in April 2014 and I've been wanting a different every other smartphone I hadn' had including every other smartphone I had including a samsung galaxy s2 is much better than this JUNK. Hi,dearest friends and Huawei.Please pay attention that I love technology,no matter where they are from but I care and certicize justice for better construction and more progress!! !Huawei makes the best and also economically affordable but sometimes makes some devices that put its reputation in danger!! !This ascend plus is really plus and in the world of positive contents of the better and best makings has no place!! !It really has nothingto mmention about it!! 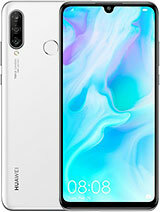 !I don't think Huawei has powerful public relations for assessments and reading and respecting their users opinions!! !The company that is ascending to become number one,making of such devices is unbelievable!! !There are many brands that make the better products with the same materials!! !Happy that Huawei understands that people are smart today and don't purchase randomly!! !My suggestion,making basic correction or gathering this redundant plus from the market!!! 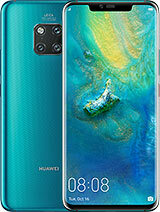 ?I hope and wish the Huawei,s continuation ascending to make the best!!! ?Thanks all+GSM!Justice Rights plus respecting Huawei to respect its costumers bu making betters!!!?Source. :Socialogy.Expecting the best and affordable and constant ascending not descending like this plus markets!!! ?Nothing to write in its favor!!! 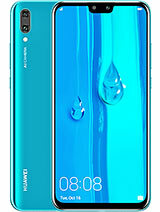 Is this a joke from Huawei? This phone is complete facepalm. 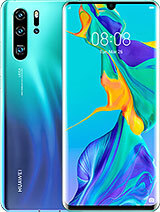 Not a good phone why Huawei made such a Sluggish and outdated mobile not enough memory not using OIS camra although rivals are using those Technology already also the other issue is that Huawei market discrimination not found their Mobile sets in the certain counntry??????? They are going to release a smartphone in 2014 which runs on android 4.0. Freaking 4.0!!!!!!!!!!!!! 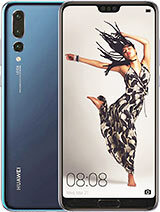 Total of 19 user reviews and opinions for Huawei Ascend Plus.